Three main types of currencies are available in DN. Gold, Silver, Copper – these can be obtained from monster drops, and from selling drops to merchants or to other players. Cherry Credits (CC) – these are purchased using real-life currencies, and are used to buy bonus stat-ed equipment, extra storage, fashion equipment and other luxuries available in the cash shop. DN Points (DNP) – these can be obtained by direct purchasing using CC, or by selecting the option to sell items to other players for DNP. These can be used in the cash shop to purchase most of the cash items, and is commonly used as a mean for players less inclined to purchase CC to obtain cash items. The Trading House (TH) is available for players to sell their items for gold or DNP to other players. A fee is required for players to put their items in the TH, which can stay up to a period of 12 or 24 hours. The item can be retrieved by the player if unsold after the designated time limit. Most utility cash item (eg. Upgrade protection) are sold in the TH by players, providing non-cash players to buy such items using Gold, which more or less balances the advantage of the cash players. Other types of upgrading – suffixing, for one – requires materials that cannot be purchased by any means and must either be hunted from monster drops or through running of daily quests, reducing inclination of the game towards purely cash-based items and purchases. Rather than the usual click-and-select-1-2-3 PC MMORPGs, DN has a more dynamic combat system that allows players to immerse themselves in the game. Dodging, jumping, and subsequent aiming, timing and positioning of skills as required are all done manually by the player with their own perception, keys and the cross hairs. As such, real-time decision making, good reaction time, strategizing, planning and also team cooperation are all required by the players, especially in the more difficult Raids and Nests, where the boss and mob mechanisms in each stage are far more complex and any wrong move could potentially wipe out the entire party. Players can choose to play at different levels of difficulty to suit their own skill level and enjoy the game. However, the difficulty of the instance and the speed and skill at which it is completed do affect the ranking (ranked SSS the highest and F the lowest) – and hence the rewards – that the players receive for completing the instance. Monster drops are also affected by the instance difficulty. Challenges are posed to the players in different forms within the game. The most common challenge for players is to overcome and adapt to the different battle mechanisms of the different bosses across the instances and nests, which can prove to be quite intellectually challenging, especially in Raid Nests, where there are special attacks that require players to react to in specific ways, or require players to device alternative methods according to their team composition. Strategic planning and coordination with teammates is certainly required in this case, and a certain level of dexterity is also needed to execute such plans. On a scale of 1 (Physically challenging) to 10 (Mentally challenging), I would personally rate it as a 2 for normal instances whilst at least a 6 or 7 for Raid Nests. Occasionally, mini puzzle-games are also included in certain dungeons to add a bit of quirk into the usual hack and slash. Also, other than the classic battle instances, players can also relax their minds in the Amusement Park, a special instance where players can enjoy games such as Spartan Goblins (just kill 300 of them) and Horse Racing with their friends. While some of the classes in the game do have specific roles that only they can fulfill, most classes do hold two or more roles in the party compositions. Eg. Clerics: Guardians and their more DPS-prone counterpart, Crusaders are the only classes that can tank, with greater vitality and defense boosts and corresponding skills. Saint and their DPS counterpart are the only heal classes. All of them too hold a role as a utility class. This multi-role-assignment of abilities in the classes aid them in finding a role in parties or raids. However, there are still occasions where certain classes are replaced by others, especially in the roles of DPS. Eg. Elemental Sorceress classes are preferred to Swordsman classes due to higher DPS, while both having low utility value. Each of the classes (and their corresponding sub classes) have their own characteristics, play styles and skill sets, making them each a unique and enjoyable experience. In addition to the 5 existing classes (Clerics, Warriors, Sorceress, Archers, Academics), two new classes – Sword Dancer and Assassin – are pending addition to the game. Characters such as the Academic, a girl who time-travelled from the future, also adds a new perspective to the happenings and plot of the story. The joys of winning a faceoff against a fellow player, and those of a shared success with your teammates are all equally enjoyed by players. Hence, a mix of competition and cooperation can be found in DN in both PvE and PvP situations. Other than the normal teaming up against Bosses and mobs, players can also team up and compete with other teams in the once-per-raid-nest Time Challenge Events, where the team with the shortest time to complete the Raid wins real-life rewards. Of course, players can also choose to pit their skills directly against other players in both solo and group PvP. Ladder rankings and Tournaments serve to allow players to see where they stand amongst the masses, while different PvP Modes (Ghoul mode, Kill or Fall mode) add interesting variation to these matches. Victors are rewarded with ladder rating points, allowing them access to unique-grade weapons in the shop. Guild Wars are also held (rather sporadically) to spice up competition between the guilds. 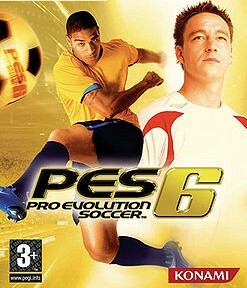 – The Game is able to accurately capture the essence of what a player or a manager gets from playing a real-life soccer. Eg.Team play, winning, Buying and selling players. – The game is incredibly fun to play due to a few factors. – Not ever body is blessed with the ability to play soccer and this game breaks that barrier. It allows them to play the game and express themselves. – Soccer being an universally popular sport the rules are pretty easy to get and players easily understand the game. – Club football is extremely popular and the game allows players to pick their favourite teams and players and play with them. – The game also allows competition between game players that can get rather addictive. – The game recreates the footballing world infront of the players eyes. – One is able to manage, play, buy and sell, compete for league and cup competitions. – The game allows you to challenge yourself on various levels. Club level, International level and also on a Continental level. This allows the players to challenge themselves and associate themselves to the respective competitions. – There are also various levels for each competitions. – The game gives a relatively fair measurement of the player’s skills, ability and knowledge. For Example there are areas where tactics have to be utilized such as in team formation and the type of players to be chosen. Players have to take note of their teams fatigue levels. So a player with a better knowledge and skill level is able to compete not only on the game-play but also tactically. – That does not mean that a player with a less knowledge on the game will lose out too much. As most of the concepts in football are rudimentary to any sports, one is able to learn it on the go. – Winning is a fundamental aspect of this game as a player will take great pleasure in scoring and creating goals. The game simulates certain elements like goal celebration, goal replays, top goalscorer, goal assists, best player and trophy winning sequences etc. These elements encourage a player subconsciously to score more and win. The game that I love playing is called football manager 2012. The game involves managing a football club or a nation and playing their teams in the various relevant competitions. The player takes up a role solely to manage football teams. The game was designed to give its players a sense of what football management is like in real life and I personally believe that it is able to accurately achieve that to a large extent. The game incorporates real life aspects of football management to its finest details. E.g. scouting, press conference, team talk and also player interaction. Further-more the game uses real time players and also their annual statistics in its game play. This makes the game extremely realistic. The game also plays out the simulated matches in 3D and recreates the scenario of how a manager feels like from the touch line. They are various elements of surprise incorporated into the game which makes it not only realistic but also fun to play. These include player injuries, Fatigue, form, Team’s financial position, Players mental ability, Players willingness to be bought etc. All these elements are accurately placed and not forced into the game. This makes the game extremely addictive to play for someone who enjoys team management. The game strives to strike a balance between skill and chance. Although the game is mainly about management it is designed in a way such that the best team is not always guaranteed a victory. The Correct tactical formation and also the right choice of players can only ensure victory 80 percent of the time. This helps in two ways. Firstly it ensures that teams/players which are not that good also manage to survive against stronger teams. Secondly it ensures that players with better teams don’t get easily bored. The game allows the players to exercise triangularity against other teams. E.g. the player can choose to be attack minded and play a lot of attacking players to score goals and win or he can choose to be defensive and go for the draw. When chasing a goal during a match a player is able to exercise these similar options. This gives players the element of control and the satisfaction of success when the choice they made works in their favor. Although there is certain amount of randomness in the game, winning mainly involves a player’s skill and also his tactical knowledge on football. This allows players who have a deeper knowledge on the subject matter thrive better in the game. However that does not mean new players to the world of football will not be able to enjoy the game. They can still play to survive and not win the league and cup competitions. This ensures that both players with a deep knowledge and also players with basic knowledge have different motivations to play for. There are various avenues through which the game encourages winning. Primarily a manager’s ability on management is judged based on the number of trophies he or she wins. The player has to win matches for him to improve his reputation in the game. Then only is he able to manage teams of his choice in the game. Furthermore most players who play this game will have a favorite club that they support in real life. As such they usually tend to manage that team and they take pride in leading their favorite team to victory. Sorry for the late post! Completely slipped my mind! – Also particularly enjoyable is being a wolf which not too many games allow the experience of. -Twilight princess has a deep and satisfying story which is definitely needed for the game’s success. -The story involves the transformation of Link into a wolf and also cleansing a shadow world which is really more than your everyday storyline. -The playing environment in Twilight Princess is HUGE. There are plenty of interesting places for the player to discover and explore. Areas also stay unlocked so the world only keeps expanding as the game progresses. – The environment is crafted to roughly resemble a real world environment so as to instill familiarity but also carries with it features (mostly monsters and other assorted evil things) not found in the real world to give that element of fantasy. -The shadow world is mostly what sets this game apart from other Zelda games. It is frightening at times, carries even more hideous creatures and gives the player a level of challenge much higher than that found in the normal world. -I believe the game world does honestly give players a desire to go out and explore more as players can get so much enjoyment from just wandering around smashing enemies into the ground and also looking for a variety of collectibles hidden throughout the large expanse. -The only time when players are constricted is when they are in the shadow world but even then if they willingly enter the shadow world; they are also allowed to freely exit it anytime. -The game however almost reaches the point where it actually overwhelms the players with too much freedom, basically giving them so many choices of what to do next that they sometimes cannot decide what to do. Thankfully however, Link’s shadowy friend Midna can be called on any time after she joins Link to remind the players what the next thing to do is. Still, the level of freedom can be overwhelming to some. The game has a clear goal: To be the “Most wanted” in a leader chart of 15 people in the underground racing world. In other words, the game’s aim is to be the best racer possible. 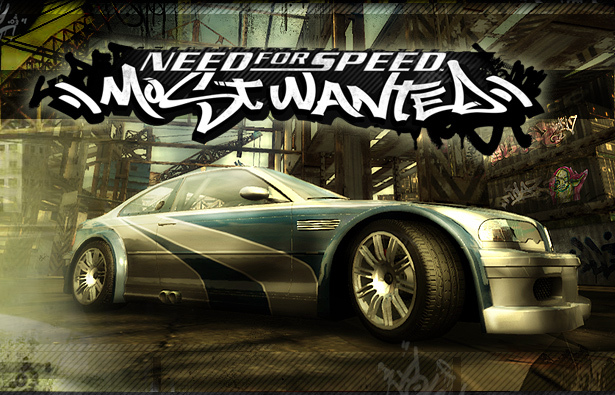 As it name, “Need for speed”, suggests, when creating it, what developers had in mind was how to make a good car racing game which would satisfy the player’s need for adrenaline and speed. So like any car race, the competitive theme is crucial. By introducing the leader chart, not only is the game competitive in every race, it also makes players compete throughout the whole game. The game starts out at the most basic driving and steering skills and helps the player learn gradually through the game. After a certain time at which the player is supposed to have learned the basic skill set, more features are introduced (better N2O, new tires…). To keep the learning curve going up, at a later stage new cars are introduced. They would usually have low steering stats, i.e. hard to control, but higher speed stats. The length of a gameplay depends on what the player is doing. If he or she is doing a race, the time to play is determined by the length of the track and the skill and willingness to win of the player (he or she can win right-away or get to 2nd place and be happy with it). If he or she is in free roam, the chase would be as long as the police stops, that is either when the player gets caught or he or she hides in a garage. As the goal is to be number 1 on the ladder, progress is clearly seen each time a player defeats an opponent in the ladder and goes up. Before being allowed to race those “bosses” they have to race a few races with some of their minions to prove that they are “worthy”. Although by dividing the game in 15 “steps” is quite adequate, there can be more progress shown when doing the last bosses (maybe from 5 to 1) since progressing through those is really slow. This can prevent the player from getting bored at late game. The player earns money by winning races and by successfully ending police chases. The players can use this money to buy parts for their cars, decorations and of course, new and better cars. At end game, money becomes quite hard to earn as the races are less, more challenging and are worth less (since at that point, most upgrades would be quite expensive). This can be fixed by Increasing the amount of money for each race as difficulty goes up. The single currency of money is a good idea since it represents the real life. However, not only the car is beautiful, the upgrades in the shop can help a player make their own creation. Different body paint, vinyl’s, hoods , etc., so many things the player can do to make their ride increasingly beautiful in their eyes. In the context of the game, the underground racing world, beauty has a very big role. It’s not always about how fast the car is, it is sometimes about how good your ride looks so that you can boost about it with your friends. Saints Row 3 (http://saintsrow.com/) is a “GTA-like” game, where the player can explore/conquer the city as a gangster. (The game takes a light-hearted attitude to this theme). As health will regenerate automatically over time, health is never important to the player for very long; if they have been injured, they will recover the health for free (so long as they are no longer in danger). Ammunition for weapons serves as quite valuable, as the player has only a limited supply of these. Enemies will drop some ammunition if they are killed. However, enemies do not always have the most powerful weapons, so the player will reserve ammunition for the more powerful weapons. The player earns ‘money’ in the game, from completing missions, or from regions they have conquered in the city. This money allows the player to buy ammunition, more territory, or to upgrade their character. (e.g. more powerful weapons). The player is motivated to use the money to improve their character’s ability so they can do things more easily. Vehicles are not valuable to the player, as the player can acquire a vehicle easily by stealing it; and once they ‘own’ it, they can then retrieve the vehicle for driving, even if the vehicle has been destroyed previously. Saints Row the Third allows the player to feel as if they are a powerful, violent gangster. When playing the game, you feel as if you can ‘own’ the city, or conquer those who oppose you. Part of this feeling of power involves expanding one’s influence and dominance, through completing missions, destroying hostile gang hideouts, or by buying property in the city. The city is very “open-world”, and allows the player to navigate the city however they choose; there are a variety of vehicles: the player can race about in a supercar, or ride on a motorbike, or even go on a reign of destruction in an army tank. The game takes a very light-hearted attitude to its violence, and the player is free to entertain a reign of chaos if they want to. However, the game is not very different in character from its predecessor, Saints Row 2. The game includes media both from the real world, as well as media ‘made up’ for the game. This media can be played on the radio in the game, and is referred to in the story. The game map visually highlights which areas of the city have been conquered. So, the player can see how much they have progressed from the proportion of the map which is highlighted. The more a player progresses in Saints Row the Third, the more powerful their player can become. They will have access to more powerful weapons. At the highest level of progress, the player can ‘unlock’ unlimited ammunition for their weapons, as well as becoming invulnerable to bullets and other such damage. At a smaller scale, the player can also ‘complete’ various mini-games which are scattered across the map, as well as completing available missions so as to progress in short, atomic steps. In the opening scenes of Saints Row the Third, the player must follow the storyline, before they are allowed to roam free and conquer the city. However, there are still restrictions: there are certain mini-games which can only be played after completing some of the main story missions. There is still a high degree of freedom allowed very early on for the player; although, the game does change as the game progresses (e.g. a certain district of the city gets invaded by zombies). The player is constrained by different sets of rules when they play the mini-games. These rules may grant the player unlimited ammunition for certain weapons for the duration of the mini-game, or may give the player a tank to cause mayhem with, or may give the game an entirely different focus by having the player race to various checkpoints. When the minigames were too restrictive, this did affect the player experience. However, the game had a huge allowance for freedom, which was never so much so as to be overwhelming. The game is almost a toy when the player is allowed to roam the city. (And the game does not necessarily “end” when the player has finished through the story). The Darksiders series revolves around the legendary Four Horsemen and each game which has been released in the series puts us in the role of one of these Horsemen. 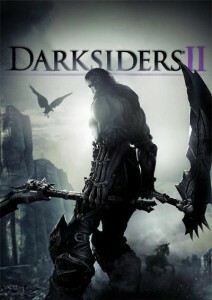 Darksiders 2 follows alongside the story of the first game where ‘War’ the first Horsemen’s soul has been trapped in the Abyss. The second Horsemen ‘Death’ embarks on a quest to undo the Apocalypse and save his brother from Oblivion. Darksiders 2 is overall a hack and slash game where the character has a different range of weapons and armors and needs to travel through a vast map towards the goal. For the majority of the game, the character is given the freedom of action and movement. The character can travel to a place visited previously in the game at any point of time to unlock new paths to valuable artifacts which were inaccessible at an earlier point in the game. The character is also given the freedom to complete the main objectives in any order they like. At the same time, the character’s actions become restricted during vital points of the story like a Boss fight which I find important as it gives the story an essential element of progress and storyline. At the very beginning of the game, Death almost no armor and only a simple weapon. During the game, the player needs to collect new and useful items which make Death stronger and gives Death many different abilities. 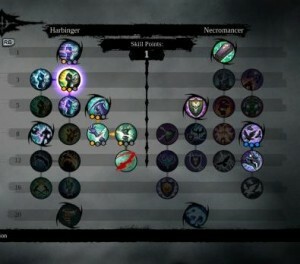 As Death levels up in the game, the player is given the choice of choosing a new ability from a list. These abilities become more and more useful as the game proceeds and the player has the choice of picking different abilities based on his/her play style, whether it be an offensive, defensive or a support role. The game leaves the majority of such character transformation to the player, but there are a couple of sudden and surprising changes like gaining a new power as part of the story thus unlocking a completely new addition to the gameplay which the player can learn to use. A player can get through most hack and slash games by randomly jamming on the keys so that the character just keeps attacking the enemies and achieving the goal. While the storyline and goals of the game might by interesting and challenging, the actual gameplay can get boring after some time. Increasing the difficulty of the game makes it necessary for the player to come up with a strategy like looking out for who is going to attack you next to be ready to counter and stringing together a combo attack to do more damage to the enemy, but I feel that the need for strategy is still quite low and can be increased by adding properties such as enemy weakness and strengths, and the need to counter them in particular ways to be effective. Throughout the game, the player comes across new and more valuable weapons and armor which can be used for better abilities, which have the players always on the lookout for such loot. 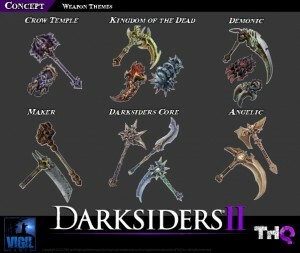 Like most games now a day, Darksiders 2 also has the player collecting several artifacts and trophies as part of a side objective. In most games however these side quests are either too long or not rewarding enough to go through the extra work of collecting the trinkets. In Darksiders 2, some of these side quests become quite interesting as they unlock new dungeons and areas to explore and also rewards the player with new equipment making the side quests worth doing even though they are not needed to finish the game. The Entire game takes place in two themes, the ‘Makers Forge’ and the ‘Dead Plains’. While the games goal is quite clear at the beginning of the game and the player knows that he needs to travel from the first theme to the second to achieve the final goal, the player is stopped at the very beginning by a big obstacle which needs to be overcome to go on. In this way the game throws smaller story objectives at the player which need to be finished before the player can proceed with the main objective. On the whole, rather than having a continuous flow of objectives and actions which need to be completed one after the other, the game shows the main objective to the player at the very beginning of the game and instead throws a lot of obstacles before the player thus creating the need to perform a string of actions before the main objective can actually be achieved. The 12th of next month will become a memorable date for fans of the Starcraft series because the newest sequel of the series, Starcraft 2: Heart of the Swarm will be release on that day by Blizzard. Starcraft is a very famous RTS game developed by Blizzard. Even nowadays, after 15 years after its first release in 1998, there are still people playing the game. Starcraft 2: Wings of Liberty (SC2WOL), the sequel of Starcraft, also became fairly successful after its release on 27th July, 2010. Despite the sales record of SC2WOL is not bad, I will insist my view that it is not as successful as its precedence. The rules is one of the factors that make StarCraft successful, but it is also a factor that cause SC2WOL not so successful. When StarCraft was released, there were not many games that use similar rules of playing, which we call that type of games RTS. RTS can be consider as a new type of game at that time; a lot of people had not played such games before that allows players build buildings, training units and then attack the emeries. Many people enjoyed playing this kind of games and became fans of RTS games. Although there were still some RTS games at that time, such as Red Alert, none of them could shake the dominant place of StarCraft in the area of RTS as there are some unique rules of StarCraft. For example, StarCraft has three races and each race’s units are different from others and players can choose their favorite race. Another rule is that StarCraft allows two players play the game with each other through Local Area Network, which causes the birth of e-sports. StarCraft also became the king of RTS games after many year of its release. On the other hand, SC2WOL, as the sequel of StarCraft, inherits the rules of its precedence. However, the direct inheritance StarCraft makes SC2WOL not as successful as StarCraft because it is 2013 now and RTS games is no longer a new type of games. There are so many RTS games in the market and SC2WOL has nothing advantage to them. There are not any innovations of the rules of SC2WOL from StarCraft. The only change of SC2WOL maybe just some improvement of the graphics, so some people jokingly call it the HD version of StarCraft. Even though StarCraft is a very classical RTS game, but after playing it for 15 years, players are expecting some new rules introduced to the old ones so that it can keep attracting players. Balance, especially unit balance, is the most important thing for RTS games. It ensures the fairness of the game so that no player has the privilege over others. However, unit balance is also a very difficult part for the game developers to control. Although they can make it completely balance by making all the players using some set of units, like the Red Alert, the interestingness of the game reduce because the combination of units and changes of the strategies reduce. Therefore, a good RTS game should achieve some degree of balance and StarCraft is considered to achieve this goal. Players of each of the three races take turns to win StarCraft tournaments. There is not any strategy of any race can have a certainty to win. That is also a reason why StarCraft can be the representative of RTS game. Although Blizzard declares that SC2WOL is also quite balanced by show the winning rate of any pair of races which they collect from the Ladder, the fact is SC2WOL is not as balanced as StarCraft. Fans invented a word “imba” from imbalance to describe a race is too strong against other races. Last year was T imba as the race terrain dominant in most of the tournaments last and its turn for Zerg to be imba this year. Although developers in Blizzard are trying to balance the game, it is still not as balanced as StarCraft. In conclusion, although SC2WOL cannot be considered as failure, it is far from the best RTS game as the fans are expecting. A lot of fans are still missing the classical StarCraft, so I hope that the release of the series, Heart of the Swarm, will have more improvement and create another era of StarCraft. Encourage players to play with and guide their lower level friends. When high level players go to a lower level zone, they will get adjusted to the map level. If the map zone is for 35-45, level 80 players will have the stats of a level 45 player. This gives a bit more challenge to the high levels while not sacrificing the rewards as high level players are still rewarded with experience, gold according to their original level. Events are additional quests on top of the normal quests (hearts) that occursdynamically in every map. Players within the area are alerted about the events and can just join in at anytime the event is active by just entering the event zone. It is intuitive and rewarding. While it is difficult to complete the event alone, it gets very easy when more players join in the event. Since most events are very interesting, levelling do not feels like a grind anymore when everyone is banding together participating over and over again. Absolutely no disadvantages in grouping. Every player has their own allocated loots which solves the billion years’ old issue of kill stealing in MMORPGs. Grouping with guild members performing any activities even allow players to generate influence for the guild which can be exchanged for buffs that increases stats and chances of finding magical items. Hence, guild grows stronger along with active members. Guild Wars 2 like exactly what most people can defer from, has a mix of cooperation and competition. The ratio of cooperation to competition is well balanced due to team competitions. Hence, cooperation pretty much goes hand in hand with competition in this game. Cooperation level directly influences the ability to compete with enemy team. World vs. World is a good example of great balance of cooperation and competition in which 3 servers engage in a territorial battle. While a single player can take down sentries and kill supply carriers, an army can attack towers, keeps and castle. While numbers still matters in WvW, players can still have a fighting chance with great teamwork and avoid complete utter defeat. Good cooperation not only rewards individuals with more gold/experience. Higher contributions to the group give better rewards. Further evidences of ArenaNet rewarding cooperation are down to skills level, players can create combo finisher with specific skills/spells interacting with each other to give an additional effect. With several distinct professions, the game has an asymmetric approach. Every profession has very distinct abilities, skills and traits which can be adjusted to fit for different scenarios. And how someone build their character can affect drastically the performance in situations such as PvP, PvE and WvW(World vs. World). The game empowers players’ choice of build to give themselves overwhelming advantages in the scenario they wish to be excellent at. This is why some players could find it very frustrating that no matter how hard they try, they cannot beat others if they are simply presented in a disadvantageous situation or in a wrong build. Thieves are probably the most debated profession in the forums now because the current mechanics allows them to permanent stealth. This means they can choose to engage or disengage their fights with great ease. For a situational game like Guild Wars 2 which it wants players to choose and prepare their fights properly, thieves are kings. Everyone should be given more fighting chances in disadvantageous situation so that they are not being forced to specialise in a particular build and allow skill level of player to make more of a difference. Despite how the game looks, there is still a lot of tweaking required to ensure fairness in gameplay. Although cooperation plays an important role in World vs World (WvW), numbers still matter. This issue becomes more protruding as it has been several months since this game has released, most player base are relatively equally skilled. A populated server will always certainly win a less populated server. Sometimes, the lesser populated server will give up altogether and stop going to WvW. As of now, there is no in-game mechanics to balance the differences in population. Events of your story journey recorded. 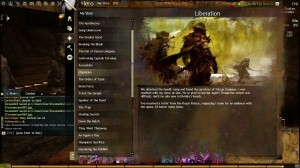 If anyone has played Guild Wars 2, it is obvious that Guild Wars 2 has attempted to allow players create their own experience and story throughout their gameplay with the use of “My Story” feature. What it simply does is that it records player’s experience and events like a diary chronologically. Players are able to choose their character’s race, background history, their religion and their character’s personality upon the character creation menu. These details are recorded in the dairy and each player can have varying starting stories. Eventually throughout the story mode, players are given options to choose how they may proceed to achieve. Most of the time, they are given 3 choices catering to 3 very different play styles. Particularly after the turning point of the story, there are three orders which one can choose to join. Each order has very diverse play style. For example, Order of Whispers likes to gather intelligence and sabotage to accomplish tasks, Order of Priory like to do things the intelligence way through researching and discovery and finally Order of Vigil which embraces typical hack-and-slash way of solving things. Through players’ choices, they diverge in different sub stories according to the play style/order they have chosen. To experience the entire picture, players have to play 3 times with three different characters joining three different orders which is considered very good replayability as that story mode are able to stay fresh. Another key success is in the details. All decisions, actions and conversations that players made are recorded down and reflected in the game world which is why the game is able make player feels like they really have a huge impact on the events that happened. The non-linear story quests have excellent voice acting, sound tracks and following dramatic curve of events which are often adopted in films. All these reasons led me to believing in that Guild Wars 2 has been very successfully in the lens of the story machine. more than one way of accomplishing objectives and every choice makes senses and makes differences to the game world. Like the story quests, your choices determine the next story mission and can have many alternate paths catering to different play styles. The traits and build of the character affects a lot how it performs in different situations. Players have choices on how they want to level. There is no dominant strategy in levelling and it is totally fine to not level the traditional way of completing quests and exploring maps. In fact, crafting gives good experience and max levelling a single job like tailoring can level players up 10 times. World vs. World is also an option for blood-thirsty players like me because I levelled from 50 to 80 by conquering other worlds/servers’ territories. In Guild Wars 2, there is no need to try hard to level because the game will level your character from whatever you are doing. These levelling choices will eventually aid players in some ways. 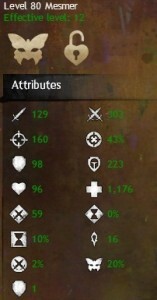 WvW not only give gold and experiences but honor tokens which allow them to purchase high grade armors. Crafting help players to earn money by selling their products and have the abilities to craft exotics weapons. If players managed to complete all quests and explored the entire map, they will be given a handsome reward as well. Often, the decisions that player made changes the environment/world. For example, liberating a town under siege can give players access to a waypoint. The game let us feel that they really have the power to make an impact in the game. DotA is a multi-player online game based on Warcraft 3. The objective of the game is to destroy the opponent’s Ancients which are heavily guarded by layers of defensive towers. Players of 5 will form a team and they stand for the Sentinel and the Scourge separately. Each player takes control of a powerful unit called Hero, each of them with unique abilities. Heroes can level up and accumulate gold to buy equipments. 1. Skill is much more appreciated in DotA. In general situations, a better skilled team has a much higher winning rate over a less skilled team; a better skilled player has a better performance over a less skilled player. 2. However, in some delicate scenarios, chance can play a vital role; the effect of chance may vary from some small advantages for a player to a turning point for the whole game play. Because the pace of the game is fast and intensive, so it is both a challenge for minds and hands. 1. How well you read the game and analyze your strategies as well as your opponent’s strategies. 2. How you maximize your role play in the game. 3. The timing and entry point for a battle. 4. How you allocate the team recourses and how to spend the money etc. 1. How to improve your gold gaining by maximizing your ‘last hitting’. 2. How to cast skills to make the highest damages possible. 3. How to dodge enemy’s skills to survive in a massive nasty battle etc. Different players have different level of minds and hands skills. The complexity of the game provides the basis for competition in the game. There’s no single hero or a combination of heroes that can dominate the game; there’s no single strategy that can take care of the victory. Even if you are losing all the way, if can win the game by finding a mistake and turning the situation around. Anything is possible in the game. One exciting characteristic of DotA is team cooperation. In Dota, players can talk to each other easily by chatting function. They can also signaling (alert enemy coming or attack synchronization) to each other in mini map. To win a battle, the timing and participation is vital. An experienced team can always take down the opponent by initiating a fight with outnumbered participation. Another aspect of cooperation is division of roles. Different heroes have different abilities and, therefore different roles. There are supporters, carries, initiators, pushers etc. To maximize a game play, the combination of hero’s pick is utterly important. Because of the complex and diverse nature of the game, the balance of the game is always a hot topic both for players and developers. From my 3 years of game experience, the game has been updated and revised for more than 30 versions. It gets balanced gradually and steadily. No heroes, abilities or items are invulnerable. Whether a hero is powerful or not is usually determined by a player’s skill and its strategy about how to play that hero. In addition, it also has great to do with the combinational effect with allied heroes or against certain types of opponent’s heroes.